I had been going through some trials and tribulations with my hair last month and the month before but I am happy to report that we are back on track baby! I learned that I'm lost without my Bee Mine hair moisturizers! Nothing does my hair as lovely as they do. I so will be doing business with Tracey some kind of way or the other in the near future; I'm claiming it. Her products are just so awesome and I'm so thankful her line was ever created! But let's get back to the topic at hand. 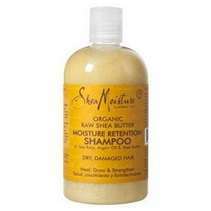 I decided to get the Shea Moisture Moisture Retention shampoo as my back up when I didn't feel like making my homemade hair wash or was in a place that wasn't conducisive for me to make it. While I luv my hair wash to bits, it's more time intensive (I have to make it for every wash) and sometimes I need to get in and get out. In those cases, I've started using this shampoo and just following up with an ACV rinse. This is what I did before I created my hair wash mix. I totally dig this shampoo! OMG. I've, dare I say it, never used a shampoo that didn't dry my hair out some until I tried out this one. 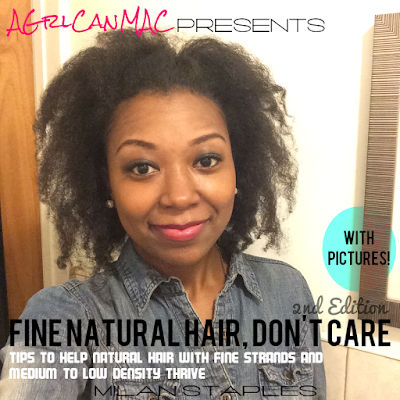 This product cleansed my hair and yet left it feeling soft and smooth too! It doesn't lather a lot but I like that. It lathers enough and spreads easily onto my scalp and hair. And it smells heavenly, like frankensense and myrrh. I wanna find a scented oil or scented fragrance stick with that now. I'm totally hooked. I plan to use this and my hair wash interchangably. Yes!!! I bought this shampoo, also. It leaves your hair extremely soft. I recently had locs and took on the task of combing them out...I regret that decision now (kinda). That soften my hair so much when I washed my locs, that it enable me to comb my hair. I have the conditioner, also...Have you come across anyone who knows about the maintenance of hair after a loc comb out? Eventually, I decided to cut my hair, because it was breaking off. Oh man! I just stocked up on the curl enhancing smoothie, the conditioning mask and the curl & style milk. I didn't get the shampoo because I've never tried it, but since I read that rave review, it's off to Walgreen's I go!